If you find baking a chore, think again. In fact, you don’t have to be a professionally trained pastry chef to make a cake at home. Simply put together a few ingredients and follow some simple steps and you’re on your way to making your first cake at home. The trick? Use the right appliances to make sure that mixture is well incorporated. With Kenwood, baking has never been this easy. 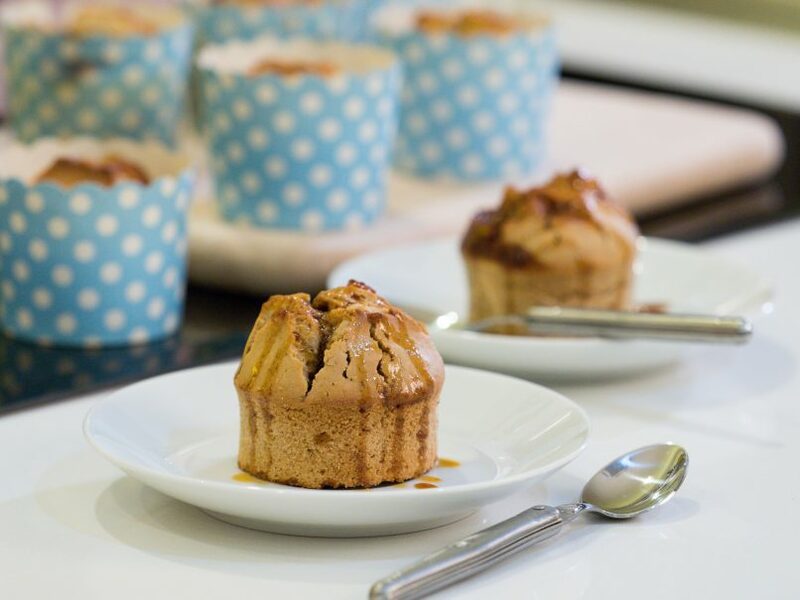 The Lifestyle Asia KL team was recently put to a baking challenge to prove how easy it is to bake. 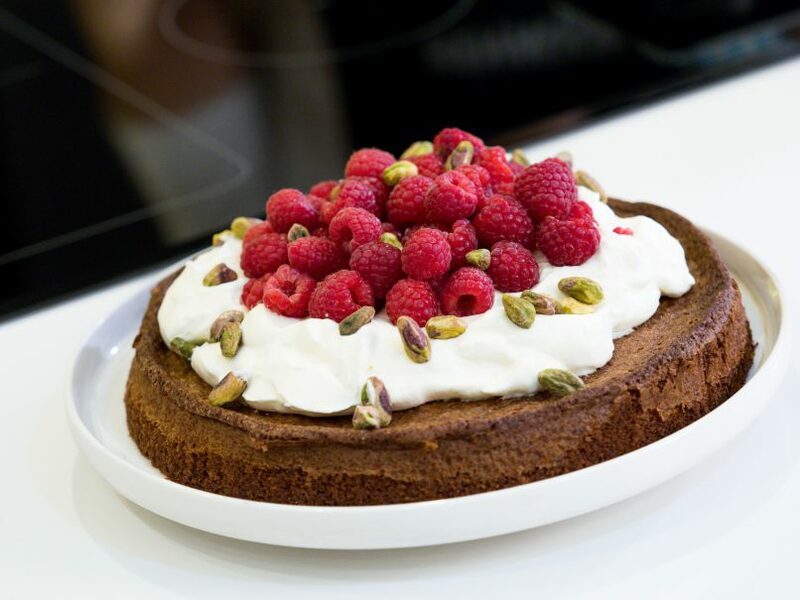 Deputy editor Martin Teo had his hands on the Chef XL Sense to try out a new recipe – Olive Oil Pistachio Cake with Rose Chantilly Cream. For someone who typically uses a wooden spoon to whip by hand, Martin finds the machine an instant relief as the creaming of butter and sugar took less than five minutes — a fraction of his usual 20 minutes that would already change the temperature of the butter by then. The Chef XL Sense is a multifunctional appliance that comes with a range of features that go beyond mixing — adding an extra advantage to the kitchen. In today’s modern kitchen, every homeowner prefers the convenience and having one multipurpose appliance increases the value of the machine tremendously. After all, the Chef XL Sense can also be used to mill, blend, knead and chop, just to name a few. You can easily control the speed with the Chef XL Sense mixer. Whisking the double cream for the cake takes seconds. Martin started by preparing the dry ingredients –- a mixture of ground pistachios, flour, and the zest of a lemon and an orange. The machine came in handy to grind the nuts; kernels of pistachios turned into bright green ‘flour’ — a powerful feature to grind spices and mill grains or beans. Furthermore, it is all with the push of a button, which makes working in the kitchen much simpler and stress-free. Following the recipe, we continued with whipping butter and sugar until it was creamy and semi-stiff before adding in eggs and juice of half a lemon and half an orange. Then, we folded in the dry ingredients all inside the 6.7-litre mixing bowl that’s big enough for sizeable bakes. Its deep-bowl shape helped to avoid making a mess in the kitchen. In less than 15 minutes, the mixture was ready to go into the oven. 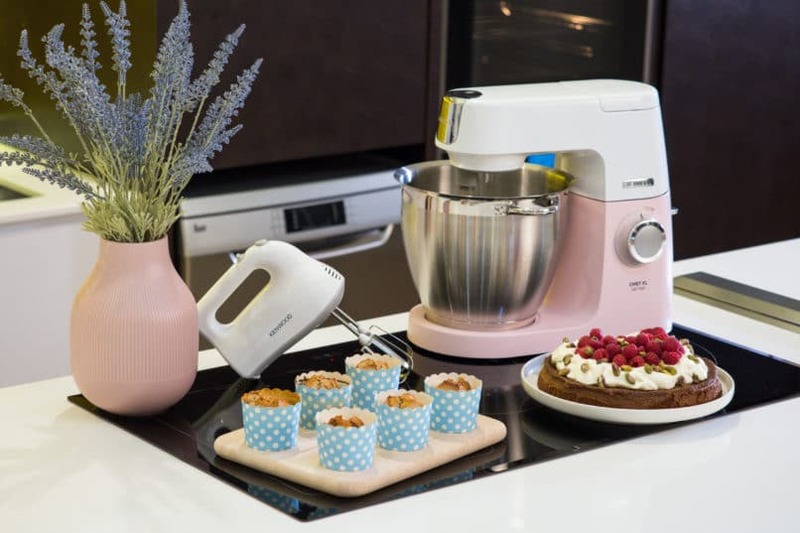 Keeping the idea of ‘baking is easy’ in mind, Kenwood has partnered with Kravve to provide an easy baking solution for aspiring home bakers. 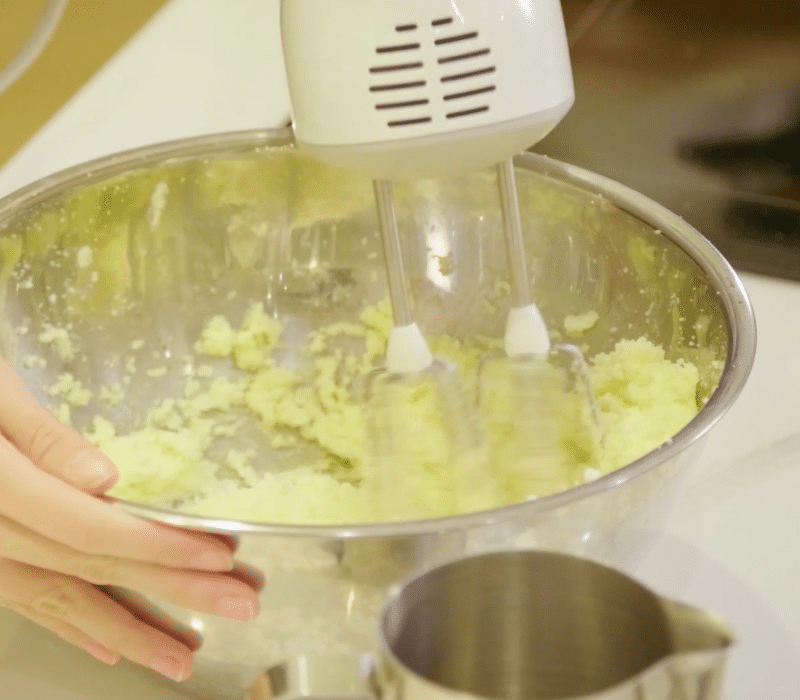 Kids can bake too with a simple handmixer like the HM520. 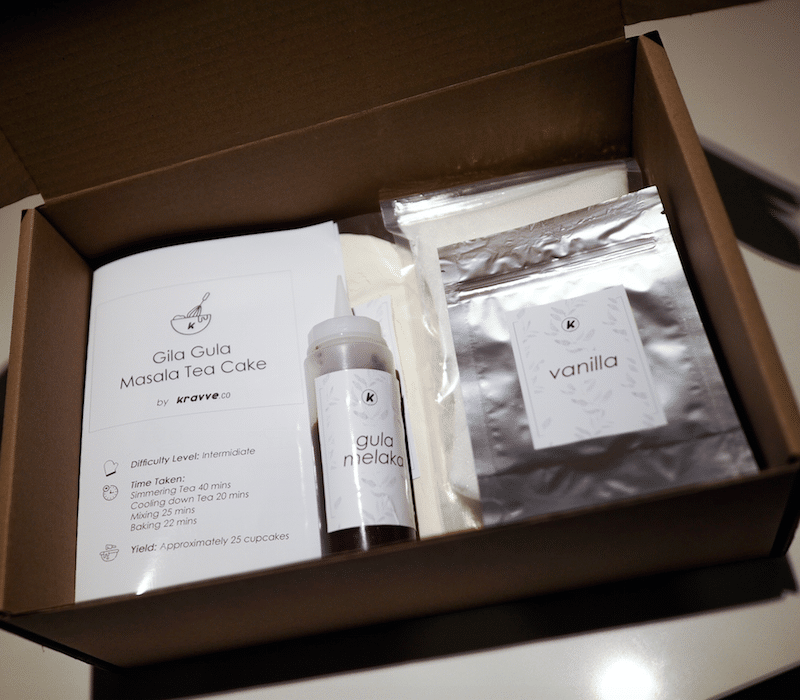 Associate editor Poh Nee had her hands on Kravve’s Gila Gula Masala Tea Cake baking kit. The dry ingredients are pre-packed and clearly labelled, and all you need to add is butter and eggs. Cream the butter and sugar using a basic handmixer such as the HM520 (featured in the video), fold in the dry ingredients and combine with eggs and masala tea infused milk, and the batter is ready to go into individual muffin cups and then in the oven. The results? Two equally delicious treats perfect for afternoon tea. Effortless baking means you don’t really need to put yourself into stressful situations in the kitchen. 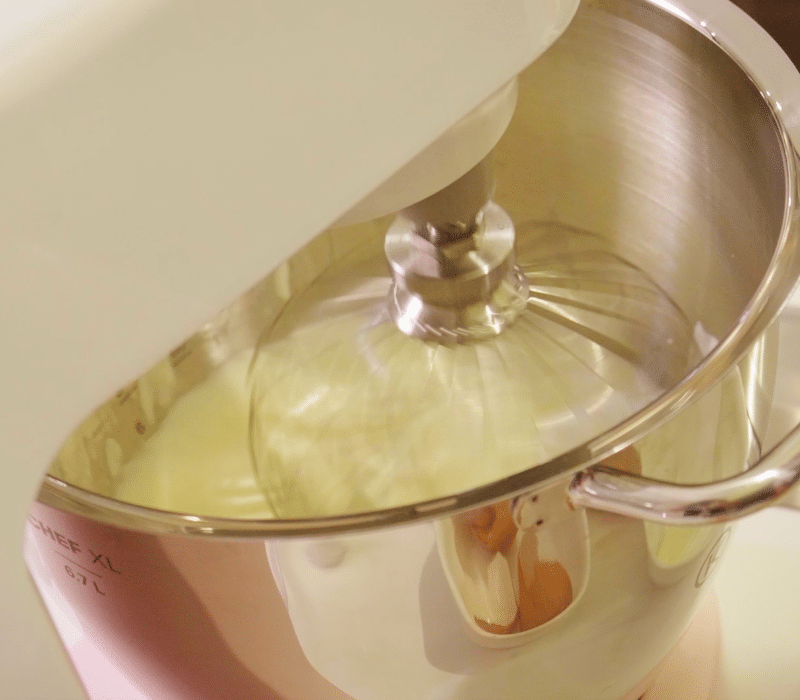 And it’s easy with the Chef XL Sense mixer – we barely broke a sweat. Otherwise, start with a simple baking kit to get yourself ‘warmed up’ before some serious baking. It doesn’t take much to start baking at home — a good recipe and a trusted machine. Kenwood is currently having storewide sales from now until 31 December 2018. Customers will also enjoy special discounts at Kenwood’s Lazada Store and all departmental stores nationwide. 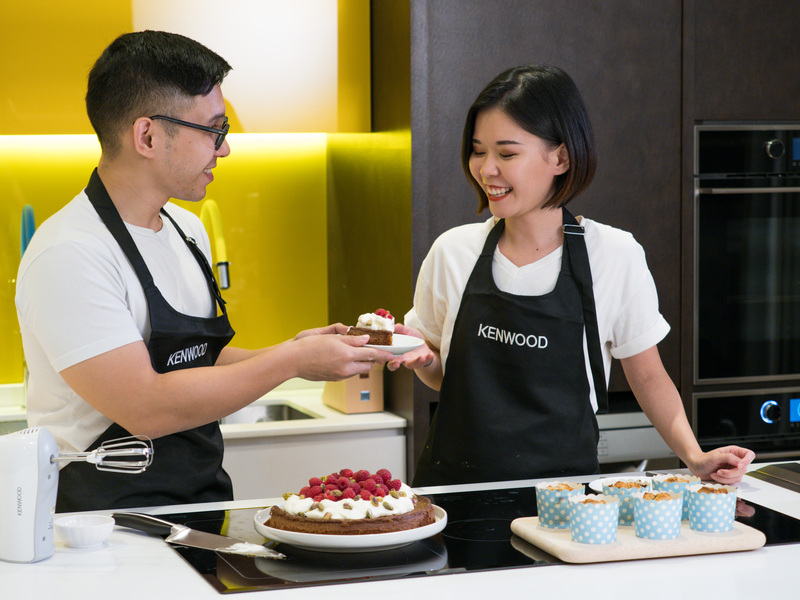 For more easy-to-bake recipes, visit Kenwood Malaysia’s website.